Law students Natassia Smith and Paige Baker have reached the semi-final of the Oxford University Press national mooting contest. 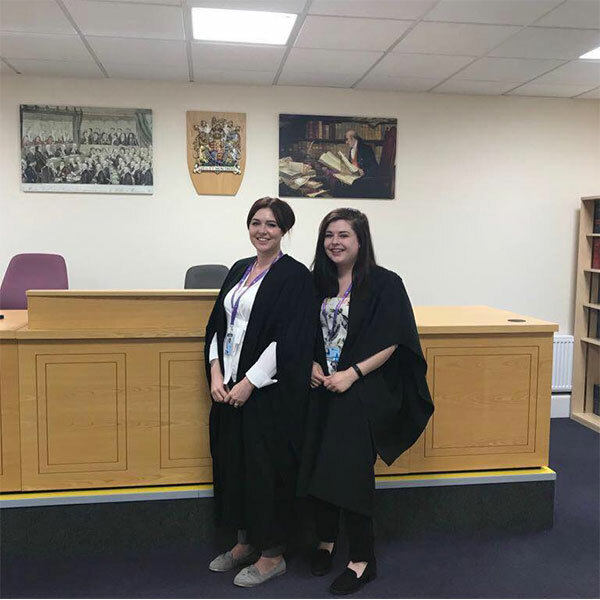 Natassia, and Paige, both from Stourbridge, are both final year LLB (Hons) students who started to participate in mooting competitions in their second year. The University of Wolverhampton Law School students will compete against Nottingham University later this month. Margaret Walsh, Head of Academic Legal Studies, said: “We are incredibly proud of Natassia and Paige’s success in this prestigious national mooting competition. Two teams compete in a moot by arguing a fictitious legal case in front of a Judge. The case (or ‘moot problem’) concerns various contentious legal issues and points of law. It is then up to the two teams, the Respondents and the Appellants, to present their side of the case to the Judge.